Op de Godley reservoirs van het Britse waterzuiveringsbedrijf United Utilities is de bouw van Europa’s grootste drijvende zonnepark begonnen. Het 45.500 vierkante meter grote zonnepark gaat naar schatting 2,7 GWh per jaar opwekken voor de waterzuivering. 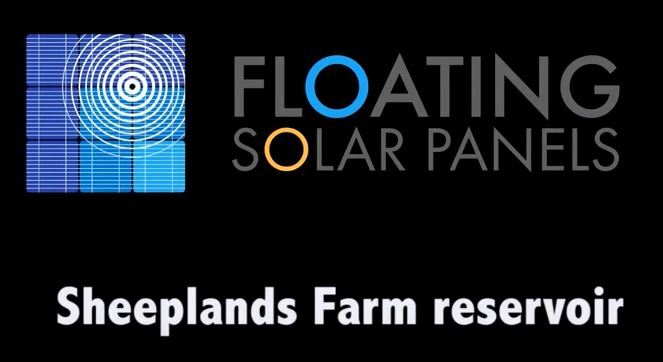 Sheeplands Farm is the first site in the UK to install Hydrelio floating solar PV. This allows the farm to utilise their new 60 million litre irrigation reservoir by generating free, green energy on-site to power the reservoir’s pump. The installation of solar on water enables Sheeplands Farm to increase their energy independence without using up valuable land space. Hydrelio installations also benefit from the government’s Feed-in Tariff. 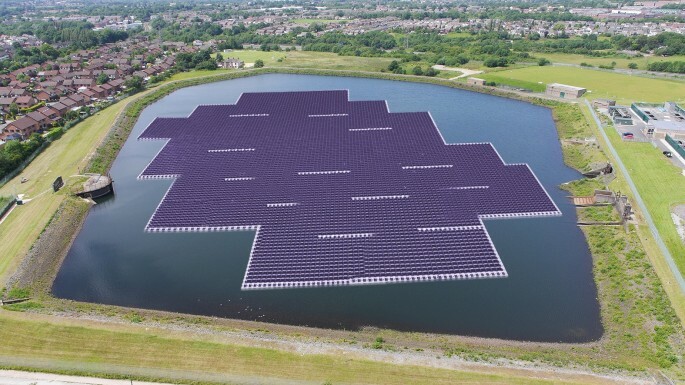 Hyde in Greater Manchester will lead the rest of Europe with the installation of the biggest floating solar power system on the town’s Godley reservoir. The development of 12,000 panels – which will cover an area of 45,500 sq m – is an investment of £3.5 million by United Utilities to reduce energy costs, and keep customers future water bills low. The target is to complete the installation, test it and bring it into operation before Christmas 2015. Once complete, the 12-week project will provide United Utilities with 2.7 GWh per year of renewable, zero carbon power to be used directly by the site. The scheme is part of United Utilities’ ongoing carbon reduction strategy.